Olly and Jacob have arrived at OYO Sports! 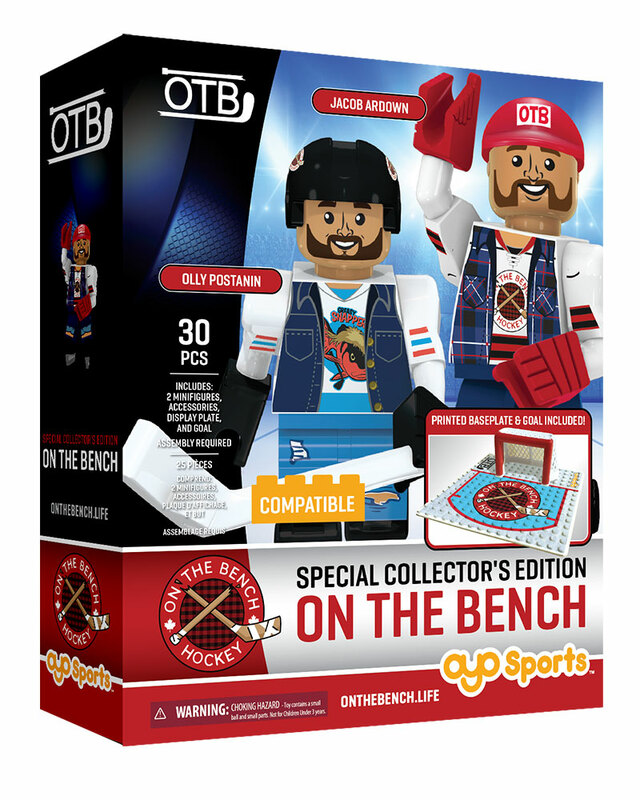 The boys of On the Bench bring their irreverent look at hockey to OYO with their new minifigure play set. 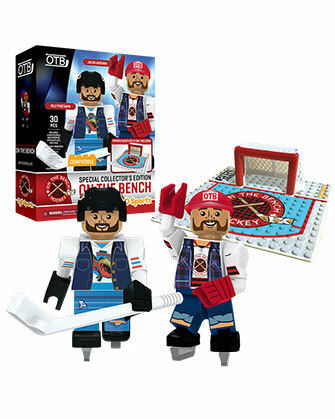 This set features Olly and Jacob in their Greasy Snappers and On the Bench jerseys, with printed caps and helmets, for their exclusive minifigures. 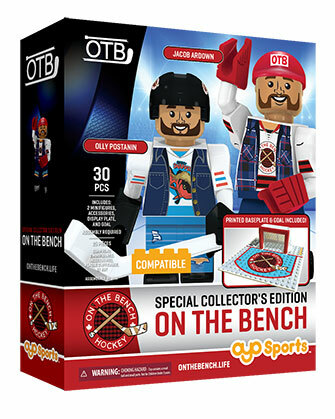 The set includes a printed On the Bench mini ice rink, and goalie net, so that your boys' toys can sit on top, just like they do on their videos. Or Jacob can try to get his snappy bar-down shot past Olly in net. You get to play along and re-create each of the Eppies in minifigure form! A lot smaller than I thought it would be. A fun set to add to your collection. Very colorful and of course has all the quality of an oyo product.